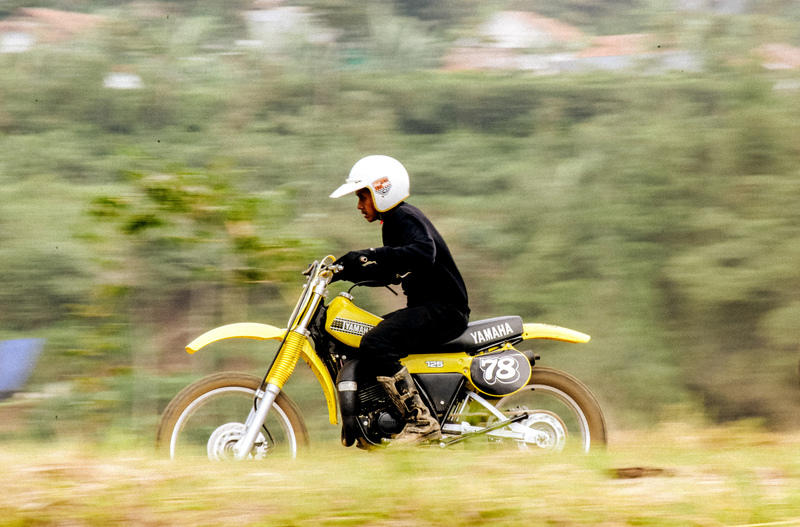 There is a real explosion happening right now in the classic trail enthusiast community in Indonesia with new little homespun events scheduled all over the country. 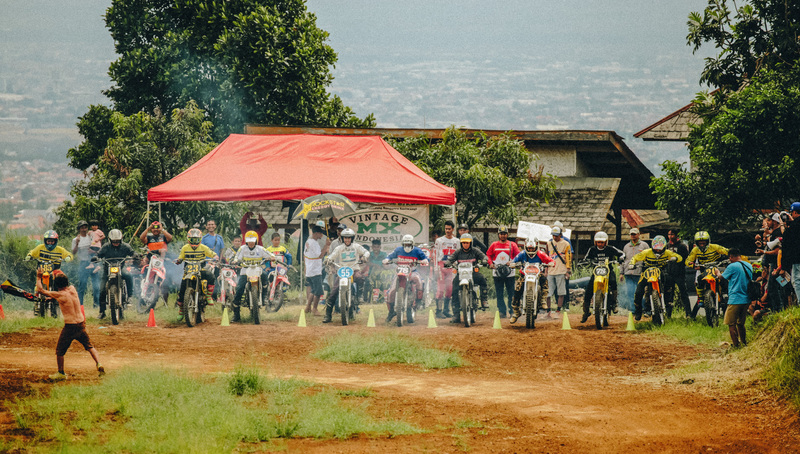 2018 will see them getting oraganised though with the first VMX Indonesia National Events there will be a total of 6 events in the series. Mr. Dipo Atmaja, a renowned collector of classic trail bikes came up with the brilliant idea of holding these events. 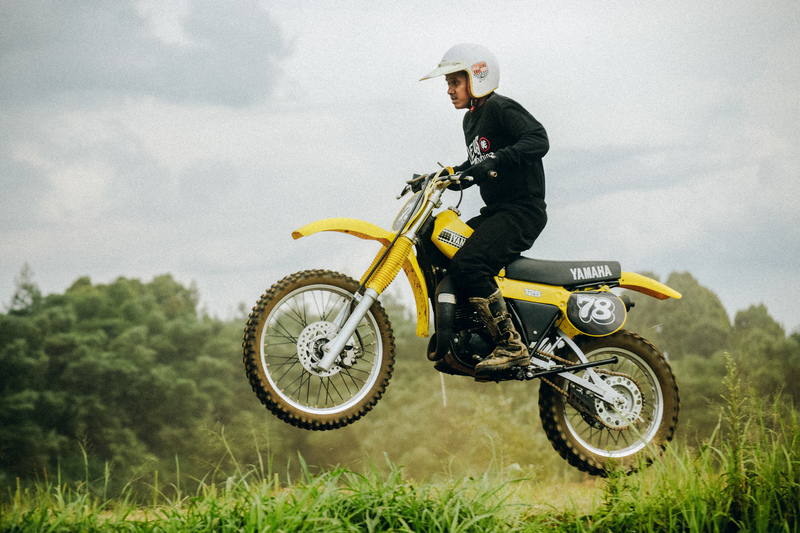 The reception of which has been received from all ends of the classic trail community, both riders and collectors, incredibly enthusiastically. So much so that now everyone is waiting eagerly for the season to begin. 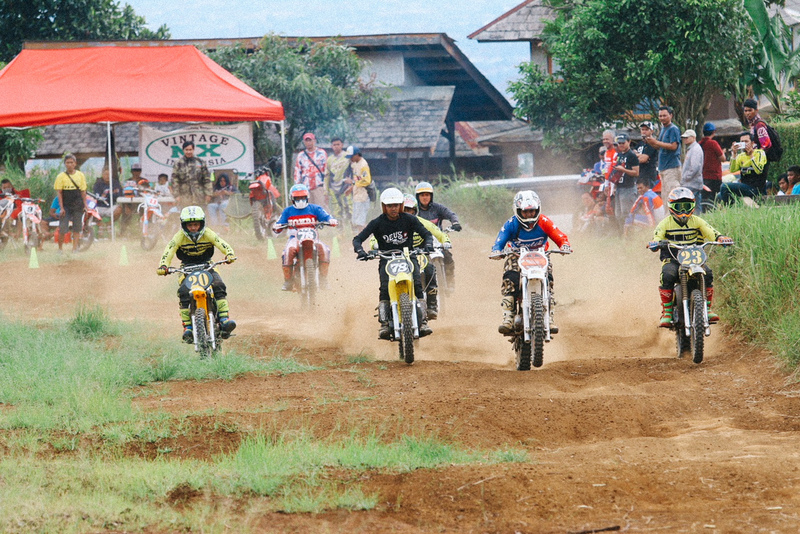 To get things warmed up, and to take a little of that impatient pressure off, they held a Pre-series VMX Exhibition in Bandung last weekend, the 16-17 December. It was a great turnout. 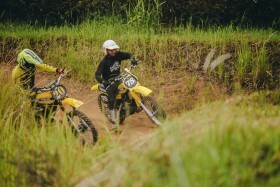 The main draw card was definitely legendary Indonesia motocross rider, Mr. Bandung Sunggoro, holding a Coaching Clinic for both new and older riders to hone their skills. 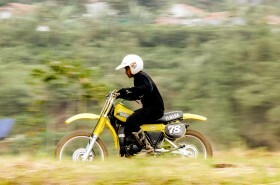 He helped people with their starts, positioning on the bike, cornering and more. 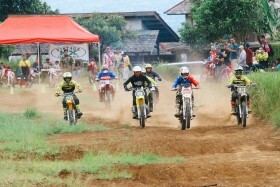 Of course, when you get twenty odd riders together there is bound to be a race and what a race it was. 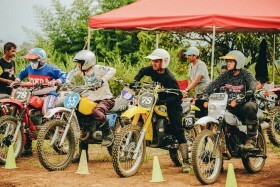 All the different riders each with their own variation of the classic trail bike. We had Yamaha DT 100, Kawasaki KE 125, Honda CR/Elsinore, Suzuki RM 250 and even a couple of old Husqvarna trail bikes. 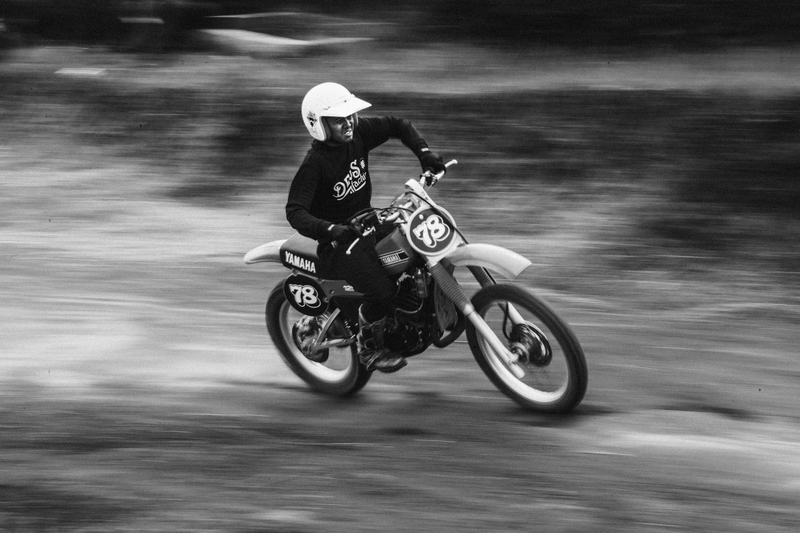 Deus family member, Giang Gaw, whose interest for these kinds of motorcycles and the culture that surrounds them has been on the up and up for some time, lead him to get more involved in the events & community. 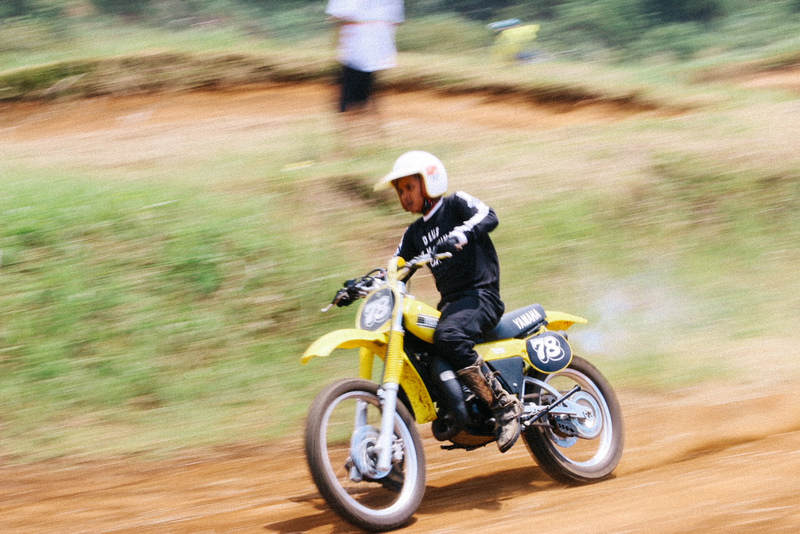 Giang went in for three different race categories; Standard Category, Local Open Category & Custom Category with his Yamaha DT 75lc. The circuit, up on the hill behind Bandung City, was dry and dusty. Being a lot easier than wet and muddy, it gave the riders an automatic confidence which they welcomed and took advantage of, allowing them not to worry about slipping and sliding they seemed, to a man, to ride at their best. Giang on his DT was in the thick of it. The crowd that had come out to watch, family, friends and fellow enthusiasts, cheered everyone on. People who turned up for the first time, found the atmosphere welcoming, fun and quite electric. The crowd would go wild when they saw how these old trail bikes were still able to jump high, passing across table tops, camels and double tops dotted around the circuit. 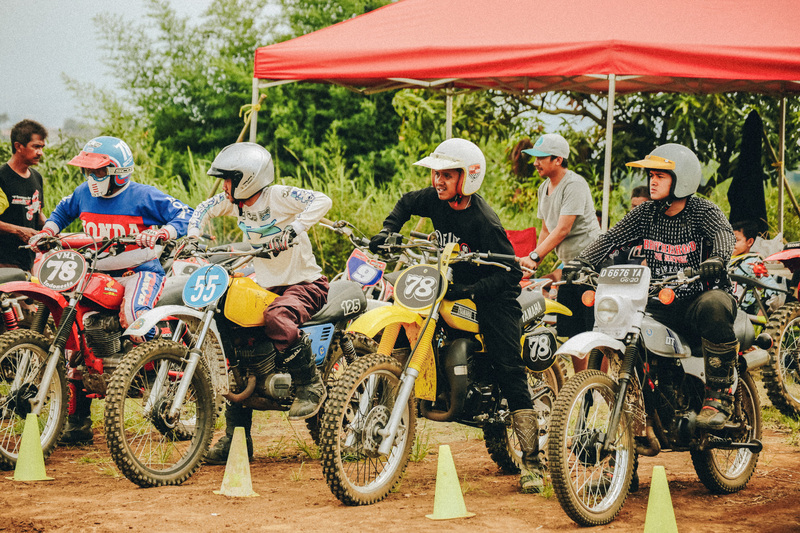 The audience hit frenzy when the riders went into the final lap, they jostled for position, everyone wanted a spot in the top four. 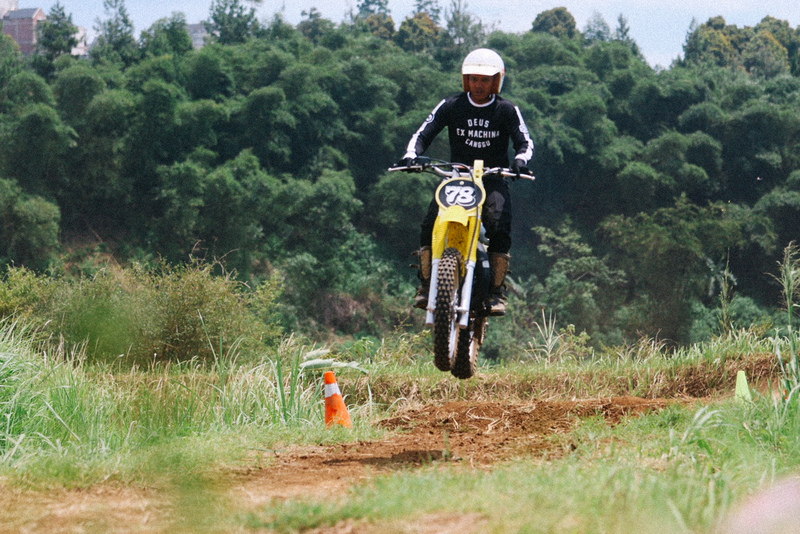 When the flag had dropped and the dust had settled, on what was a really tough race, Giang was able to celebrate his achievement of grabbing 3rd position after Adi and Ivan Gombel.